Turkish authorities have reportedly ordered the formal arrest of nine executives and journalists of the opposition Cumhuriyet newspaper. It is pending trial, following their detention on Monday. Editor-in-chief, Murat Sambunju, is said to be among them. The detentions – over the newspaper’s alleged support for July’s failed coup – have been described by one EU politician as crossing a red line against freedom of expression. 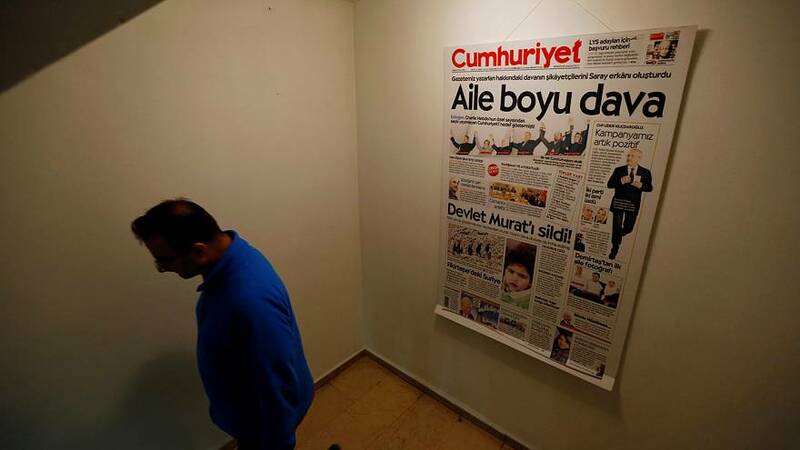 According to Istanbul prosecutors, staff at the paper are suspected of committing crimes on behalf of Kurdish militants and a network of US-based cleric Fethullah Gulen. Turkey accuses Gulen of orchestrating the coup attempt, though he denies any involvement. Cumhuriyet’s previous editor, Can Dundar, was jailed last year for publishing state secrets involving Turkey’s support for Syrian rebels. The case sparked censure from rights groups and Western governments, worried about worsening human rights in Turkey under President Recep Tayyip Erdogan.